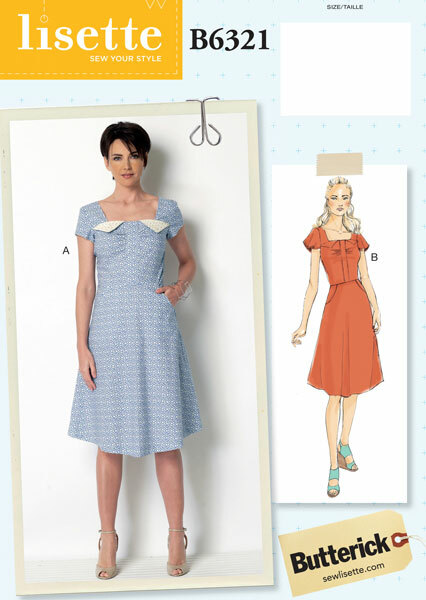 This stylish dress for spring and summer features a self-lined upper front and back, square neckline, fitted bodice with flaps, front band, side-front pockets, and side zipper. View A features self-lined cap sleeves and contrast flaps. View B has a narrow hem on flutter sleeves. Share your photos on Instagram with the hashtags #B6321 and #sewlisette.